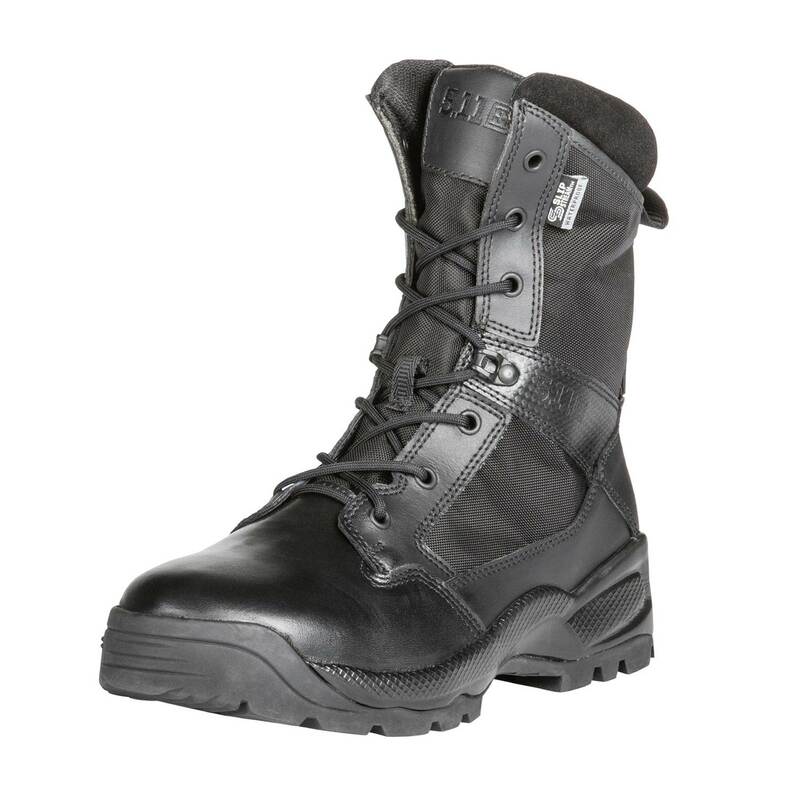 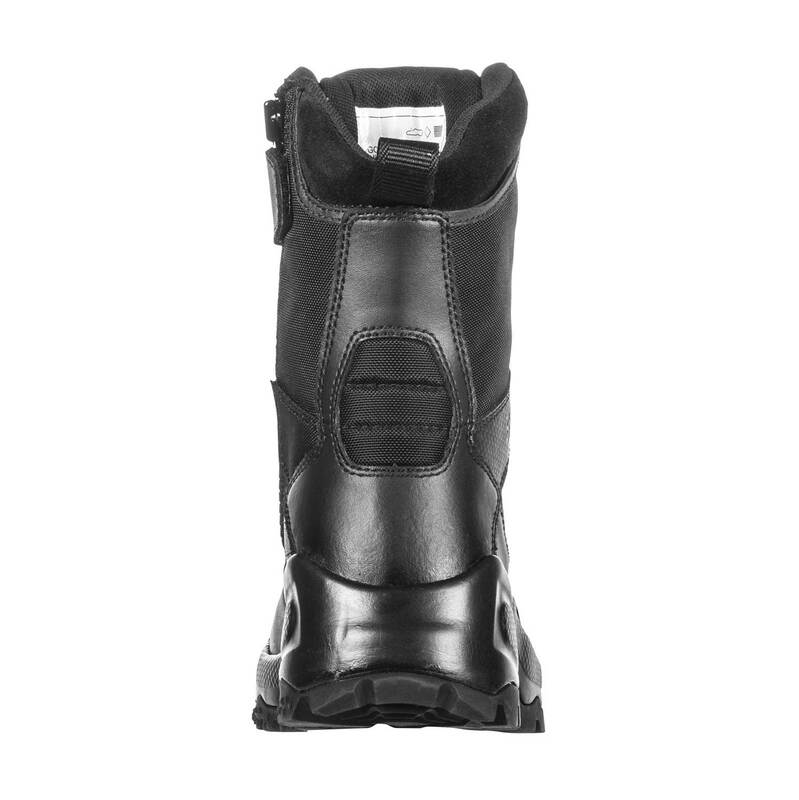 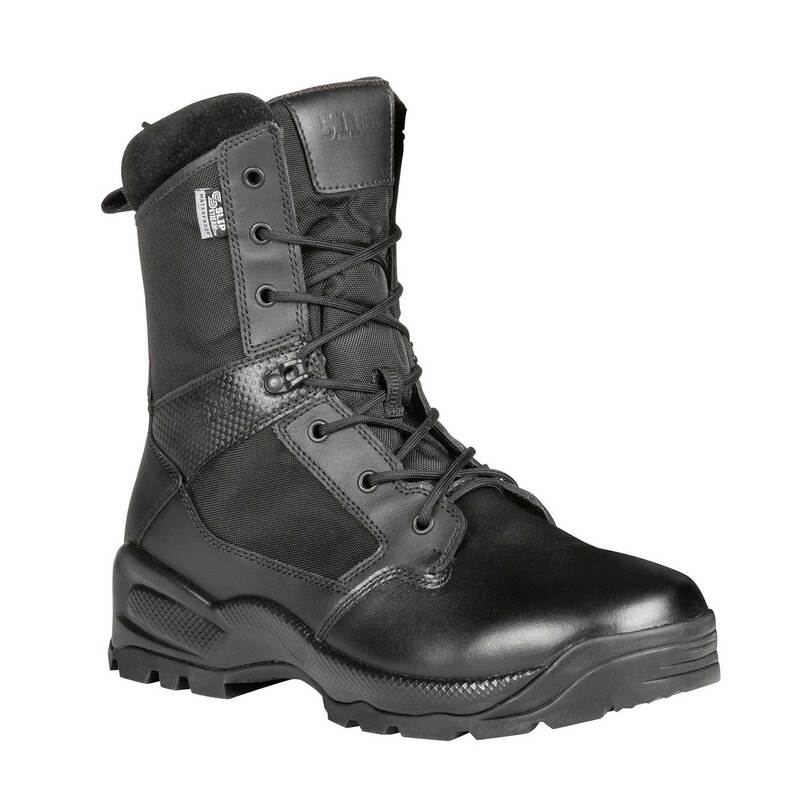 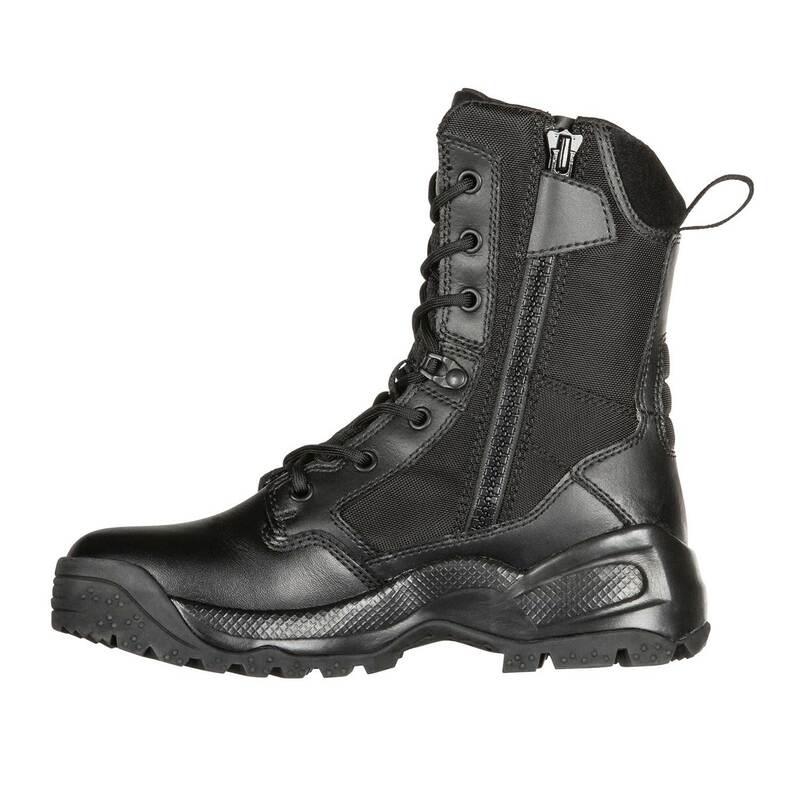 5.11’s A.T.A.C.® 2.0 8" Duty Boot improves on its predecessor with lighter weight and improved comfort without compromising durability and performance. 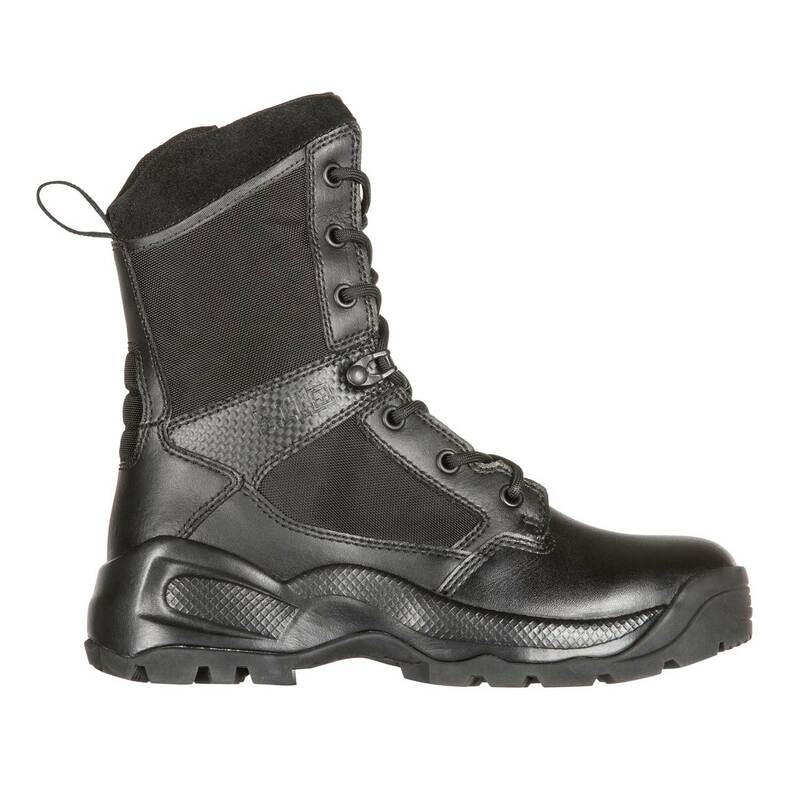 The full-grain leather toe, 840D nylon upper and shock mitigation system provide the kind of rugged protection you need; while the knife pocket keeps an important ally within reach. 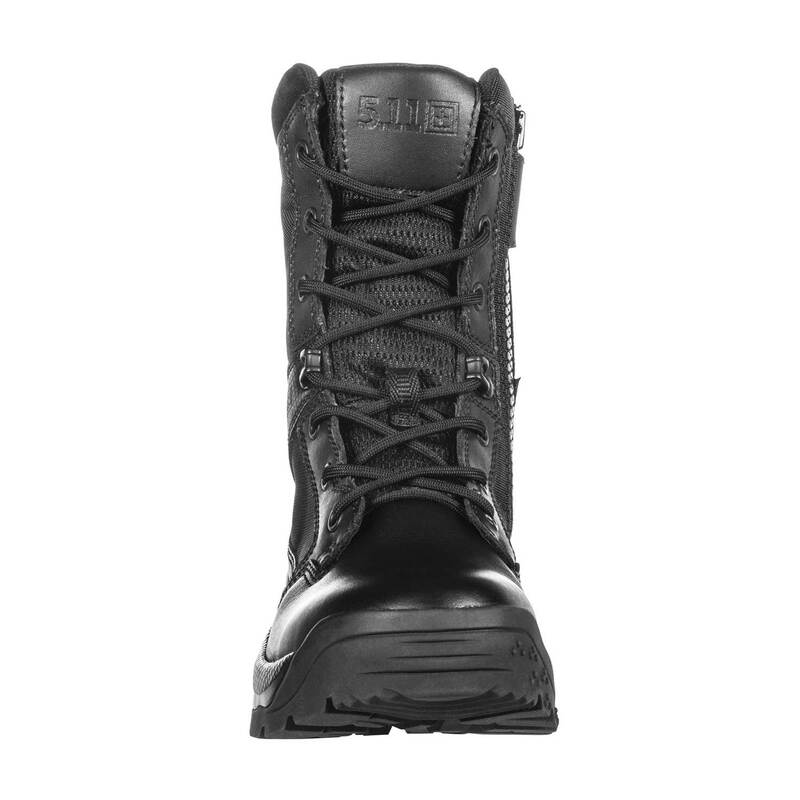 The Achilles heel flex zone, gives a critical part of your foot more range of motion while maintaining support. 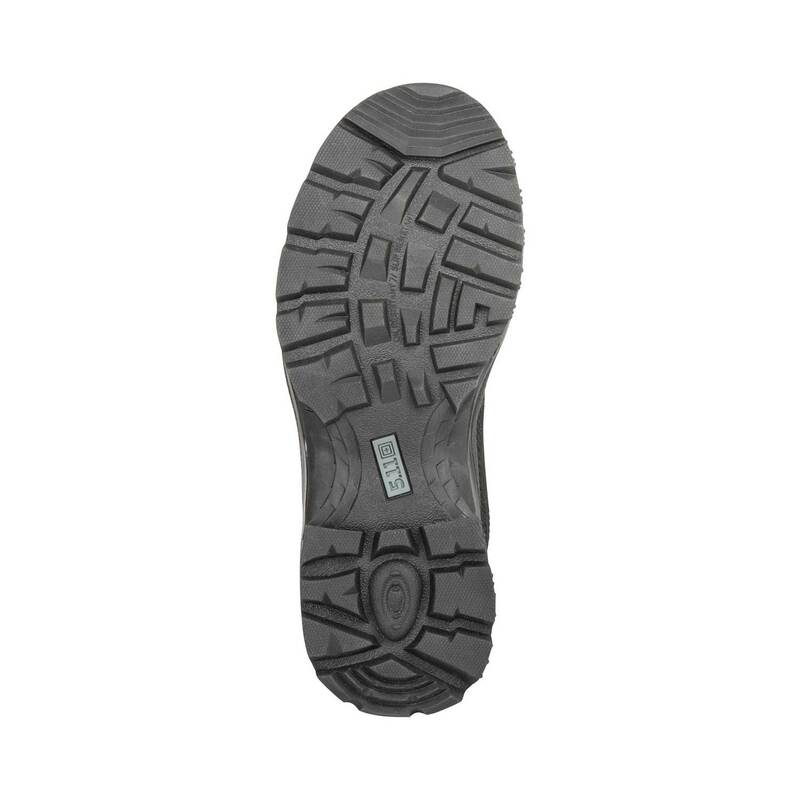 An air flow tongue and full-length dual durometer Ortholite® footbed work to keep your feet cool, dry and comfortable all day, every day.